Published: March 6, 2013 at 11:11 a.m. Updated: March 6, 2013 at 07:12 p.m.
Greg Schiano hinted after the season that Josh Freeman might not be the answer at quarterback. The Tampa Bay Buccaneers coach revised those comments at the NFL Scouting Combine, telling reporters, "Josh Freeman is our quarterback." Words are nice, but Freeman's rookie contract expires after next season, meaning the Bucs are running out of time to show how they really feel. Freeman's new agent, Erik Burkhardt, says an introductory meeting with Tampa's front office at the combine was encouraging. "It was really positive," Burkhardt told The Tampa Tribune. "They said they definitely believe in Josh, that he is their guy, that they want to reach their goals with him and that they know he is capable of doing the job and are committed to him." That meeting was triggered by Freeman recently switching agents, but Burkhardt wouldn't say if any progress was made on an extension. Translation: It wasn't. 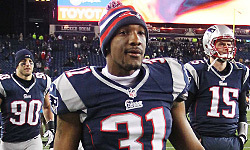 Stephen Holder of the Tampa Bay Times tweeted Wednesday, "I sense no change on (the) contract front. Odds of new deal now are slim to none (in my opinion)." Freeman tossed a career-best 27 touchdown passes last season, but he still made too many errors. Let's remember that Schiano inherited Freeman and doesn't want to spend all offseason answering questions about new thinking at the position. In the absence of anything better, the Bucs are standing behind Freeman. That really doesn't mean much until the money trucks roll in. Freeman still has plenty to prove to the powers-that-be in Tampa.